ROCHESTER, N.Y. — Robert Morris men’s hockey (10-19-1, 9-14-1 AHA) hasn’t had the best start to 2019. Since coming out of the Three Rivers Classic the Colonials have gone 2-8 with all ten contests being within Atlantic Hockey. 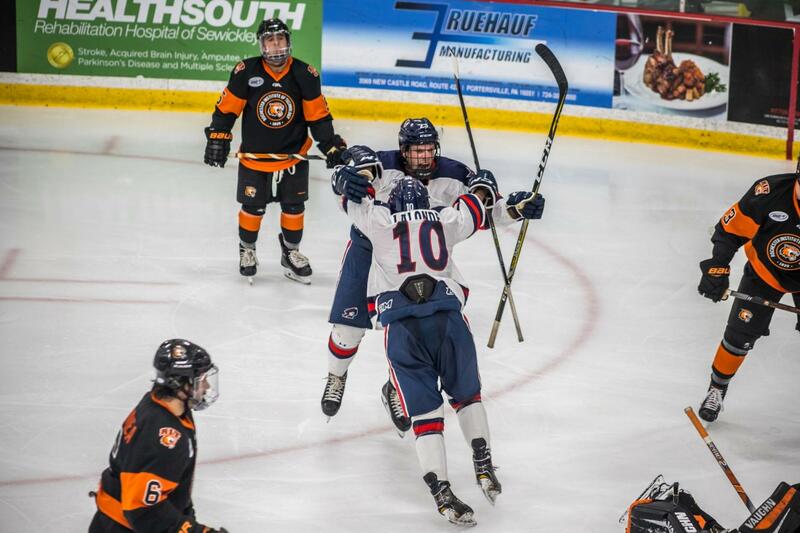 At this point, it’s tough to say that this was a year of contention for Robert Morris, but the future is bright for a team overflowing with young skaters. Nevertheless, the season isn’t over. The next two upcoming games are against RIT (14-13-3, 12-9-3 AHA), a team deadlocked with Air Force for third place in the AHA. Upsetting the Tigers on their ice sounds pretty nice for the Colonials, and it’s the last thing the Tigers want. 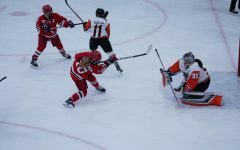 RIT has been winning, along with losing, pretty consistently throughout the season to get where they’re at. The Tigers never saw a win streak longer than three but have been able to climb the standings when other teams faltered. With four games remaining RIT would like nothing more than to down a conference rival, especially on home ice. When considering the conference records of these two teams though, a one-sided affair doesn’t seem realistic. These two teams are pretty evenly matched on paper, but the execution on the ice is what separates them from one another. With that in mind, some Tigers, in particular, make sure that the execution is to a tee on a nightly basis. 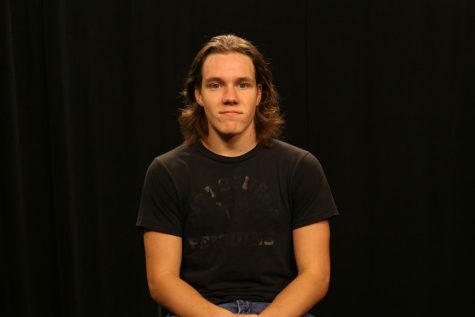 Abbott Girduckis (RIT): Girduckis is a senior forward and assist machine. A point per game player at 30 games played and 30 points, but on closer inspection, you see Girduckis’ pass-first mentality. Nine of his 30 points are goals, the other 21 are assists. That name may sound familiar to a few Colonial fans but that’s not deja vu, it’s just the brother of current Colonial, Aidan Girduckis which only adds fuel to the fire. Not only a conference rivalry, but a battle of brothers as well. Erik Brown (RIT): Brown has 21 points in 29 games played and leads the team in goals with 13. If Girduckis is distributing the puck, be sure to assume Brown will be firing it off more than once this weekend. Brown will definitely be a factor in RIT’s push towards the end of the season and the AHA tournament, maybe even a National Tournament bid, but wait a bit on that. 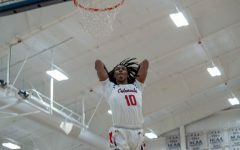 Eric Israel and Alex Tonge (RMU): As far as Colonials to watch, it’s more of the same. It’s Israel and Tonge. They’ve been the Colonials to watch all year because if Robert Morris is going to win hockey games, they’ll need contribution from both Tonge and Israel. That’s it. The results and stats speak for themselves. 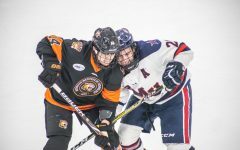 The Colonials have an opportunity to disrupt RIT’s momentum heading into the end of the season and into the AHA tournament. 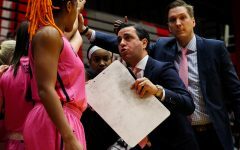 When given a chance to cause some trouble within the conference, teams rarely hesitate to take advantage of the situation. This is a perfect storm for RMU to come in and shake up the top ranks in the AHA. A young team looking to cause some problems down the final stretch of the season is a dangerous team for the rest of the conference. Look for RMU to put out a solid effort against a stronger team in the AHA. The games will be physical if kept competitive as usual per the AHA’s hard-hitting reputation. What matters here for RMU is the ability to keep the game within a goal or two. They can’t allow RIT to own them from the start. The Colonials will take one if not both of these games barring the circumstances and the timing of the matchup.